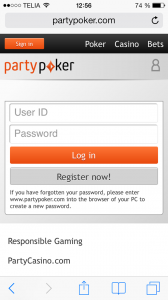 PartyPoker’s mobile app makes it impossible to play because it lacks basic functionality! A while back ago PartyPoker (this used to be linked partypoker.com but they asked me to remove the link) released their new mobile poker product, and I’ve tried to try it out on my iPhone. But that is easier said than done! I haven’t played on PartyPoker (this used to be linked partypoker.com but they asked me to remove the link) for a while so I had my expectations set really high when I read the news that they released their next generation poker product. So I downloaded the PartyPoker (this used to be linked partypoker.com but they asked me to remove the link) iPhone app. 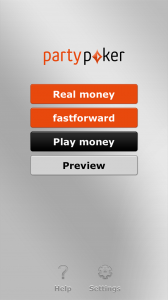 The “start view” is pretty straight forward and I tapped on “Play money” to try it out. I was then taken to the login view. Image 2. The “login view”. I couldn’t remember my password, so how could I retrieve it? This screen doesn’t help me in any way. But I got a clever idea, what if I go to PartyPoker (this used to be linked partypoker.com but they asked me to remove the link). There must be a retrieve password function!? 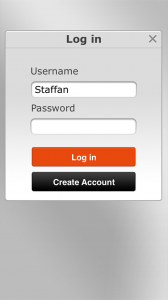 Could you image how surprised I got when I read “If you have forgotten your password, please enter www.partypoker.com into the browser of your PC to create a new password.” It was Catch 22 since I was on the move just having my phone with me. To me this is an unfinished product where someone hasn’t thought about the scenario that you might not be having your computer with you when you want to play on your phone. A rookie misstake! Partygaming (this used to be linked partygaming.com but they asked me to remove the link) could and should have done better!